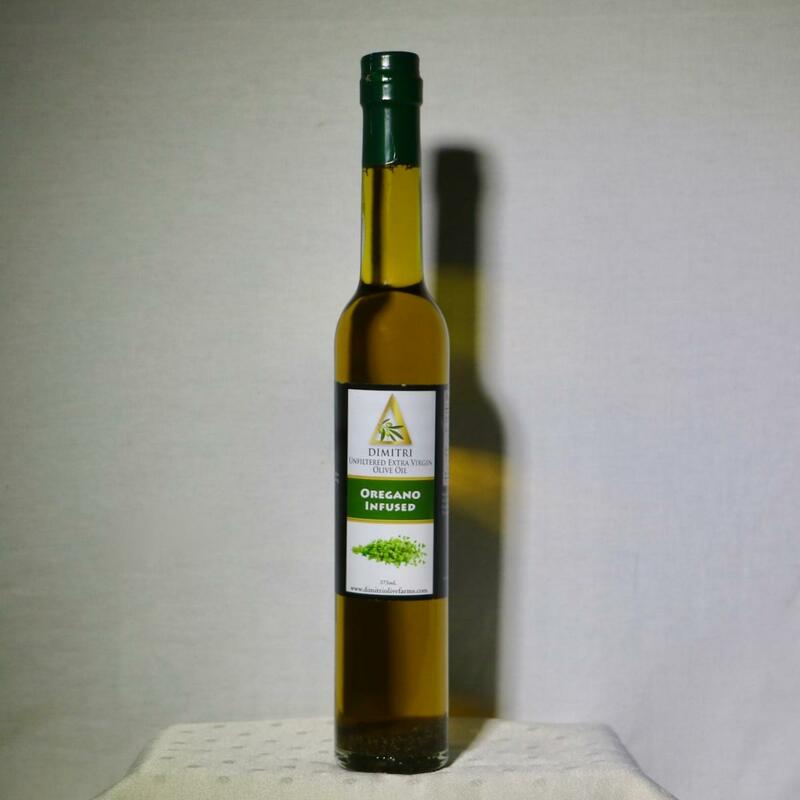 375ml bottle of Dimitri Unfiltered Extra Virgin Olive Oil (EVOO) infused with Oregano. Single source olive oil is grown, harvested and pressed on a small 100-year old farm in Southern Greece and distributed by the same small company based in Baltimore. Ingredients: Extra Virgin Olive Oil, Oregano.